Majestic will completely strip every inch of your tile space. We will then recoat all areas with industrial grade wax. 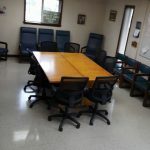 With high-quality stripping and waxing, your flooring will be clean, shiny and attractive. Finishes provide a look of depth and shine. Floors will look cleaner, be safer, enable secure footing, and are more slip resistant, which is always a plus. Floor wax and floor finish products create a necessary protective final touch, and add to flooring longevity. They are a great investment, saving time and money in the long run. Majestic offers a maintenance plan after the initial strip wax that will provide a look of depth and reflections are mirror like. 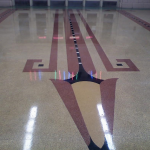 Without proper maintenance, hard surface floors tend to lose their quality and sheen. And with high amounts of traffic, your flooring is prone to dirt and grime. 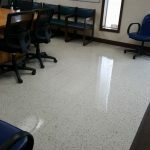 we are professionals at finding the perfect solutions to your commercial, residential or industrial flooring maintenance needs. 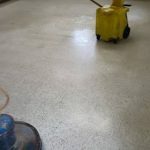 We only use the most specialized floor techniques and top-rated commercial floor finishes and waxes in order to revitalize and protect your flooring. 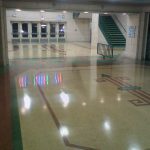 Take a look at some of the floors that Majestic made shine with beauty.